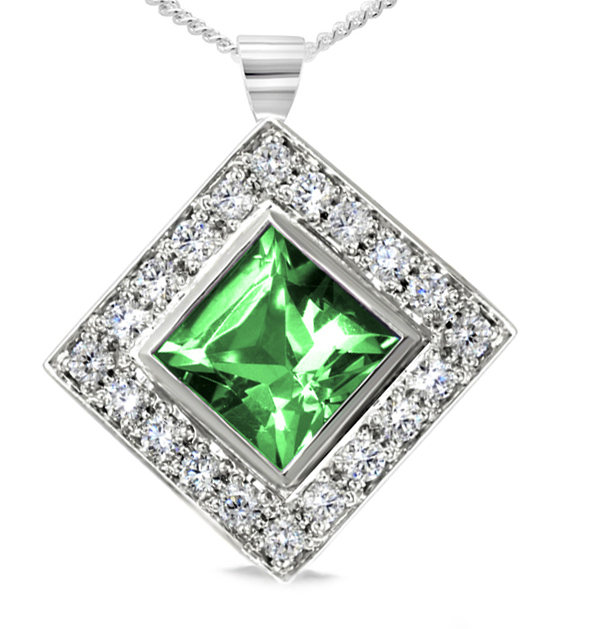 A Bespoke Emerald Diamond Cluster Pendant. Handmade in platinum a 6mm square Brazillian emerald is surrounded with pave set 2mm round diamonds. It hangs on an 10 inch platinum curb chain. Please email to enquire and commission your own bespoke pendant in any precious metal: silver gold or platinum using any gemstone.